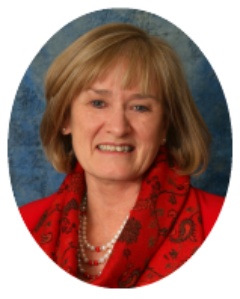 Our owner, Jan Davies McDermott, was recently a featured speaker at the Professional Association of Innkeepers International 2013 Innkeeping Conference in Las Vegas, NV. Invited to discuss Bigger Sales to Corporate Customers, Jan presented the methodology Davies House uses to attract corporate business travelers to the inn. Based on the book, "Whale Hunting", by Barbara Weaver Smith and Tom Searcy, Jan presented the three stage, nine step proven process to "Scout, Hunt, and Harvest" the right "whale-sized" corporate customers for Davies House. "Too often, small businesses, like bed & breakfasts and small inns, use a hit or miss approach to sales, not subscribing to a well-researched process for finding and bringing major customers to their inns", McDermott said. "In today’s economic climate, an organized process brings a sustainable, replicable method - that B&Bs can learn - to 'Scout, Hunt, and Harvest' corporate business, which is key to highter occupancy rates." As the book teaches, 'Whale Hunting' gives small businesses the same edge larger companies use to target, pursue and close major deal that are often 5,10, 20 times bigger than their typical sales. "In committing to a sustainable future, competing against larger, branded lodging options, we must examine how to adopt and implement a disciplined, collaborative process that understands the economic concept," Jan said. Jan will present her workshop at several state conferences over the next year to help other small business owners improve sales and increase occupancy. For more information about sales workshops, contact Jan at innkeeper@davieshouseinn.com or use the website contact page. Foodies take note: you too can learn to bake those amazing Zingerman's baked goods, from crusty French breads to melt-in-your-mouth coffeecakes. The recipes are secret, of course -- except to students who enroll in Zingerman's Bakehouse baking classes. The two-day and four-day programs, called "bake-cations," provide intense hands-on instruction in making some of the eatery's most popular offerings. The bakehouse is part of a family of Zingerman's eateries in the Ann Arbor area, including the delicatessen, coffeehouse and roadhouse restaurant. "Zingerman's is definitely one of the places that has put Ann Arbor on the map as far as a destination for great food," said Mary Kerr, president of the Ann Arbor Area Convention and Visitors Bureau. "People from near and far come to Zingerman's for the classes they offer." The next two-day course comes up May 4 & 5, 2013, and students can focus on either pastries or breads. A two day session costs $500. Bake-cation classes are limited to 12 students to allow for one-on-one instruction, and Zingerman's staff members take care of measuring the ingredients and cleaning up afterward. "The instruction is in sound techniques that one can apply to any other recipe, so if you learn how to laminate a dough properly, it improves your baking skills for the rest of your life, and that's an invaluable skill set to build," said Shelby Kibler, Bakehouse principal. "Whether it's kneading or shaping or cutting or understanding the fundamentals of bread or pastries, the instruction that we give is fundamental." A typical four-day bread class costs $1000 and includes quick breads, such as muffins and flatbreads; straight doughs, such as pretzels, challah and multi-grain breads; naturally leavened sourdough breads; and pre-fermented yeast breads, such as French baguettes. Students especially enjoy making the Jewish rye bread, Kibler said, because most of them have tasted it on the well-known Zingerman's Reuben. Pastry classes also cover a wide range of recipes, from chiffon cakes to pie crusts to cream puffs. Zingerman's also offers more than 50 one-time classes, which focus on a single recipe or technique -- such as "Bakin' with Bacon" and "Cinn-ful Cinnamon Rolls." These classes last three to five hours and usually cost $75 to $125. If all of that sounds too intimidating, don't worry. Zingerman's classes are open to students of all skill levels, even those who don't know how to use a measuring cup. "We try to make it comfortable for beginners, so they're not overwhelmed and don't feel behind," Kibler said. "We're giving detailed instructions on the whole process." In the meantime, more experienced bakers can work on refining their skills. Two-day classes are the most action-packed and intense, Kibler said. The four-day classes, while still busy, allow for a bit more flexibility and fun -- including short excursions to the deli and roadhouse. "I think it's a valuable experience to go and hang out and taste things," Kibler said. "To me that's the best part, seeing all the wonderful foods gathered in one place and being able to taste them." Thinking of coming to take a Zingerman's class? 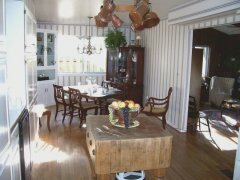 Reserve lodging space at one of Ann Arbor's delightful Bed and Breakfasts. 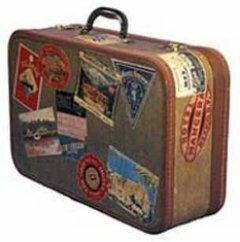 Davies House Inn is closest to the training site and offers a luxurious Jacuzzi Queen Suite with a kitchenette, a slightly smaller Queen Suite with fireplace and kitchenette, a first floor Queen Suite with private bath, or economical Standard Rooms that share a bath. Fill out your inquiry for availability on the contact page. Come and get your hands dirty!ype your new text here. Revelers of all ages will gather at dusk (around 8 p.m.) on Friday night at one of three starting points: Slauson Middle School, Kerrytown at the Farmers' Market and the U-M Museum of Art. From there, they'll dance, skip and frolic their ways to the intersection of Washington and Ashley streets in the heart of Ann Arbor. The sparkling street party runs to midnight, with live music, treats and a host of artful delights, like roving shadow puppet shows and building-sized experimental films. 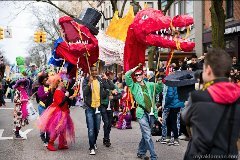 Tree Town's FestiFools street fair. A gigantic public art spectacle, the array takes to Main Street from 4 to 5 p.m. on Sunday, traveling between William and Washington streets. Watch for all manner of eye-popping papier mache puppets – of "magnificent, huge, bizarre, politically incorrect, human powered" varieties, promises FestiFools' Facebook wall – created by the community and U-M students. 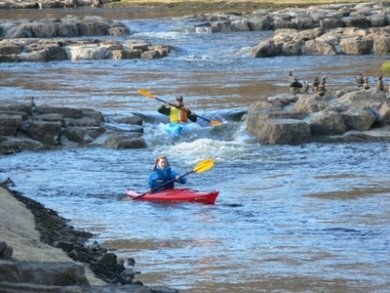 Don't fret if rainy weather attempts to infringe on your fun. if you bring a luminary sculpture to any one of three constellation stations, you'll receive some fashionable plastic rain gear and fancy little umbrellas on Friday night. Easter is right around the corner. Want to do something special? Here's a suggestion from Betty Crocker that kids and adults alike will love. 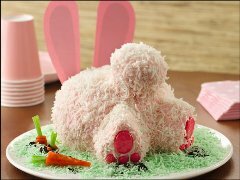 Watch their eyes looight up when you serve this cute little bunny cake at Easter Dinner. 1. Heat oven to 325°F. Grease 1 1/2-quart ovenproof bowl (8 inches across top) with shortening; coat with flour (do not use cooking spray). Lightly grease 3 muffin cups in regular-size muffin pan. 2. Make cake batter as directed on box. Pour cake batter in 3 muffin cups, filling two-thirds full. Pour remaining batter into 1 1/2-quart bowl. 3. Bake cupcakes 17 to 21 minutes, bowl 47 to 53 minutes or until toothpick inserted in center comes out clean. Cool 10 minutes. Remove cakes from muffin cups and bowl; place rounded sides up on cooling racks. Cool completely, about 1 hour. If necessary, cut off rounded tops of cakes. 4. Spoon frosting into large bowl. Add red food color to make desired pink color. Place bowl cake on tray cut side down; spread 1/3 cup frosting over cake. Use frosting to adhere cupcakes to bowl cake for feet and bunny tail. Use toothpicks if necessary. Place marshmallow halves, cut sides down, on tops of 2 cupcakes to make heels of feet. Spread thin layer of frosting over side and top of cake to seal in crumbs. Freeze cake 30 to 45 minutes to set frosting. 5. Spread remaining frosting over cake. Sprinkle with 2 cups of the coconut; press gently to adhere. Shake 1 cup coconut and 3 drops green food color in tightly covered jar until evenly tinted. Surround bunny with tinted coconut. Use rolling pin to press strawberry candies into 2 large rectangles. Cut 2 large ovals and 6 small circles out of candy. 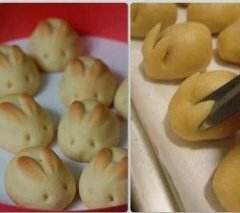 Press onto bottoms of bunny feet, using frosting if needed. 6 Roll up fruit snack to make carrot shapes. Cut green sour candies in half crosswise; press into large end of each carrot to make greens on carrot. Cut ears from construction paper; wrap ends that will be inserted into cake with plastic food wrap. Insert into cake. Remove ears, plastic wrap and toothpicks before serving. Store loosely covered. The man of the house at Davies House Inn is Larry McDermott - Irish to the core. His favorite St. Patrick's Day Dessert includes all the things he loves: chocolate, whipped cream, chocolate, cheese, and Oh yes! Did I mention, chocolate? 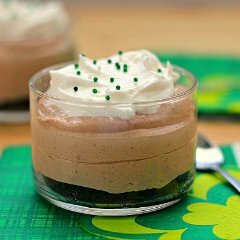 However you celebrate St. Patrick's Day - green beer, a big parade, shots of Jameson Irish Whiskey - make sure you make this Irish Cream No-Bake Cheesecake to top off the day! Enjoy! 1.Place the Oreos into a food processor and crush into crumbs. Or you can also place them in a freezer bag and crush with a rolling pin. Divide the crumbs evenly amongst individual serving dishes and push the crumbs down to form a crust. Spoon a little bit of the melted butter over the crumbs in each dish. Try to cover as much of the crumbs as possible. 2.Place the chocolate chips in a large microwave-safe bowl. Melt in the microwave. Add the cream cheese and beat until smooth with an electric mixer. Stir in the vanilla and Bailey's. Fold in the whipped topping until well-blended. 3.Pipe or spoon the mixture evenly amongst the serving dishes. 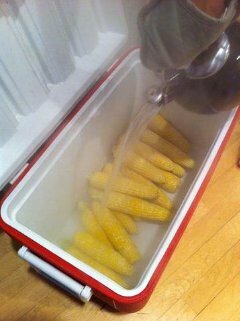 Cover and refrigerate for at least two hours.